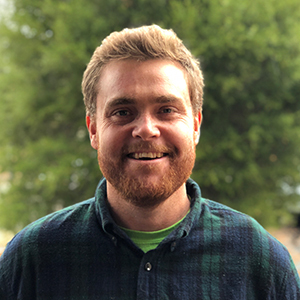 The Ojai Valley Land Conservancy is excited to announce the arrival of our new Stewardship Director, Brendan Taylor. Brendan most recently worked as the North Country Trails Volunteer Programs Supervisor for the Appalachian Mountain Club, based in New Hampshire. As part of his duties he developed a strategic plan and an Adopt-A-Trail program for maintaining 500 miles of trail throughout New England, acted as staff liaison for 12 volunteer trail committees throughout the northeast, coordinated with local, state, and national agencies on regional management strategies, and supervised a staff of 18. Prior to this he served with both the Pacific Crest Trail Association and Student Conservation Association and has earned a Master of Science degree in Parks and Recreation Resource Management. In addition, Brendan holds certifications as a “Leave No Trace” Master Educator and a Wilderness First Responder. Immediately prior to joining the OVLC, Brendan completed an 8-month bicycle tour that took him through Asia, Australia, and Africa and traveled to Argentina to teach trail-building techniques. He is certainly not shy about taking on new experiences and responsibilities. Outside of work, Brendan continues to ride his Surly Disc Trucker that took him around the world, and he looks forward to learning how to surf. Please join us in welcoming Brendan to Ojai. Welcome to Ojai Brendan! Great to have you. Welcome to Ojai and you bring great adventure experiences that we can benefit from. Welcome to Ojai Benson. I hope to see you it in the trails.